If you're looking for a mid-size SUV that combines a premium design with authenticity and a new engine option, then there is only one answer. 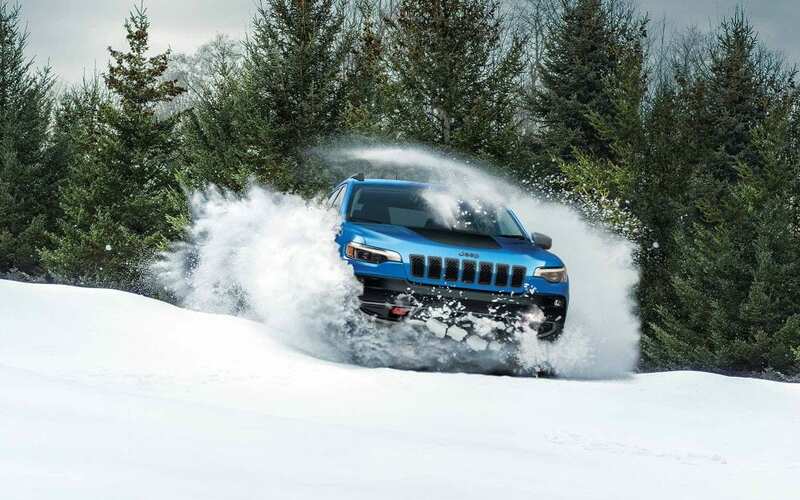 The 2019 Jeep Cherokee stands head and shoulders above its competition. It has added an all-new front fascia to give it a new styling, along with new daylight running lamps, and even a new hands-free power liftgate. 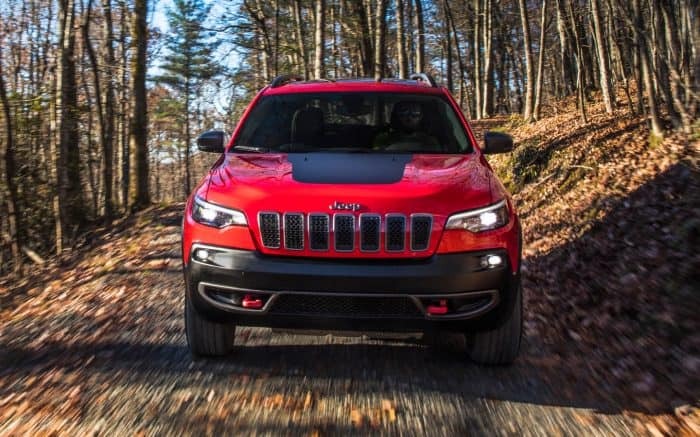 All of these additions and design changes have created a Cherokee that is better than ever while staying true to the very heart of what it means to be a Jeep vehicle. Other additions to the 2019 model year include a brand new direct-injection 2.0-liter four-cylinder engine, five new and unique wheel designs, and more than 80 different safety and security features. For more information on this stunning off-roading and on-the-road capable machine, continue reading! 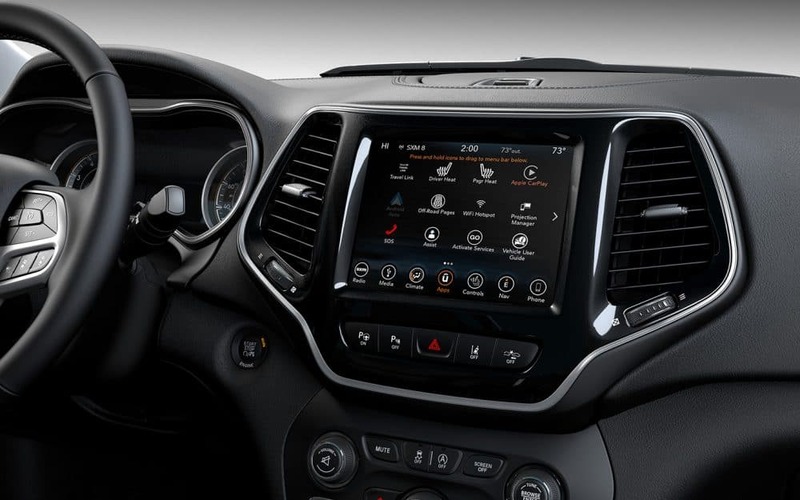 What is the interior of the 2019 Cherokee like? 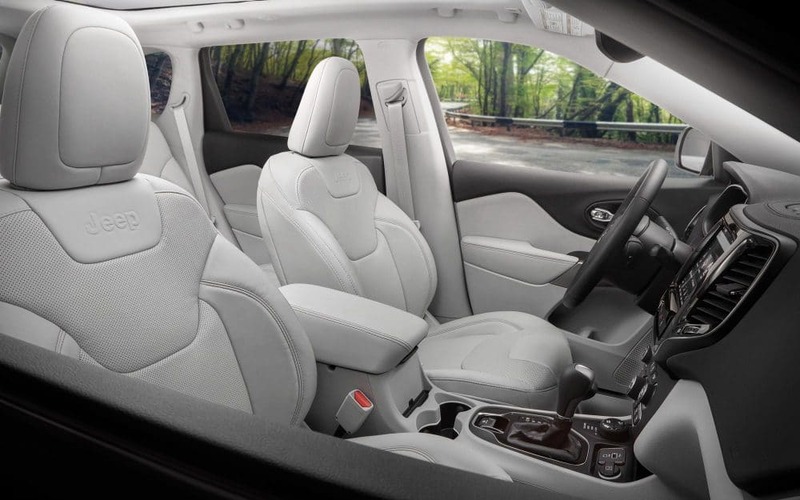 The interior of the 2019 Cherokee is as elegant and fresh as ever! Some of the reasoning behind this design change is the high-quality materials that are blending together with precision craftsmanship. While creating this high-quality environment, Jeep refuses to overcomplicate anything, giving you a driver-oriented cockpit that allows for easy-to-use technology that is actually useful for day to day life. Even the storage space in the Cherokee was thoughtfully designed, which can be seen with the center console that has been repositioned to allow for more space for the front storage pocket but to also make it the perfect place to put your technology. 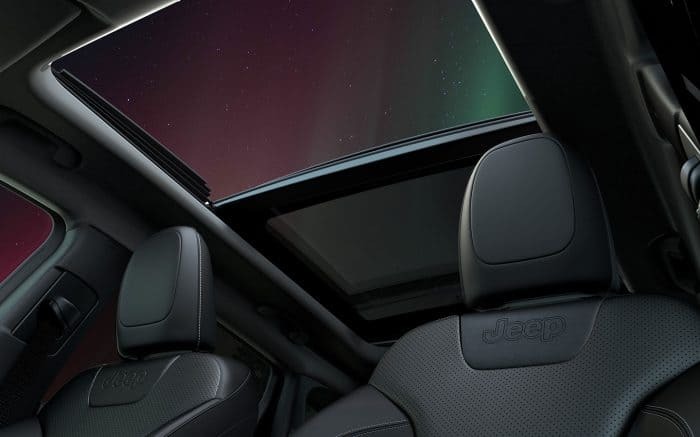 Comfort is also important, and with options like premium cloth or quality Nappa leather, it's hard to imagine the Cherokee being anything but comfortable. You'll also find seats that are power adjustable, and even heated/ventilated with memory. 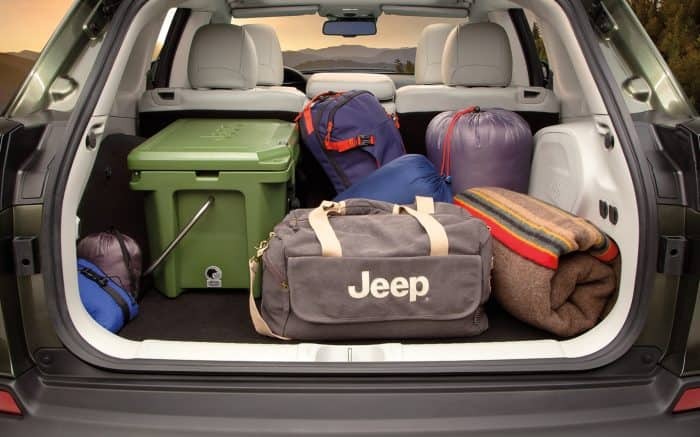 This means that while you're in your easy to use, technology-filled Jeep Cherokee, you don't have to worry about comfort or convenience. 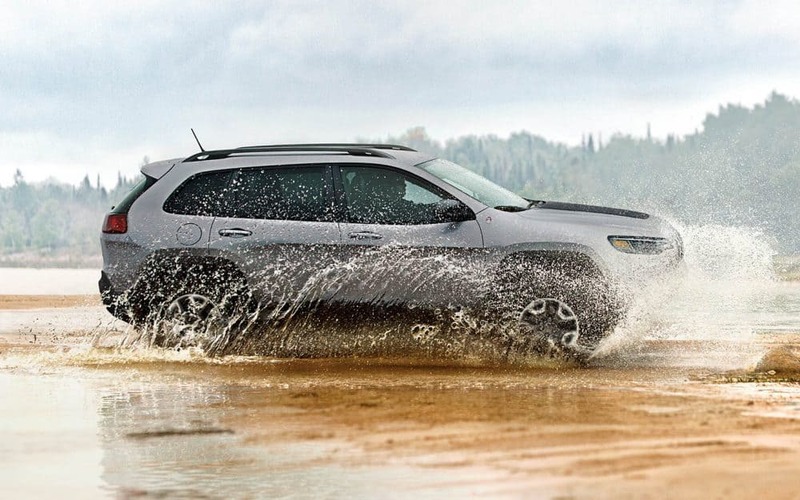 What safety options are offered with the 2019 Cherokee? 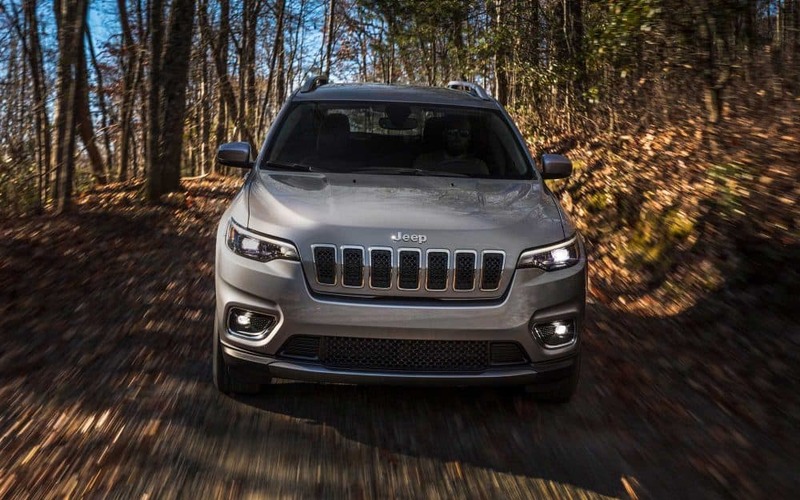 The Cherokee is an incredibly fun and versatile SUV, and because of this, Jeep has made it a priority to make sure you and your passengers are kept safe. They provide over eighty different safety and security features in order to make sure you're safe, no matter the conditions. Some of these premium features include ParkSense Parallel/Perpendicular Park Assist, Adaptive Cruise Control-Plus, Forward Collision Warning-Plus, Electronic Stability Control, ParkView rear backup camera, and an SOS button. What engines are available with the 2019 Cherokee? Three engines can be found in the Cherokee, including a brand new 2.0-liter direct injection turbocharged 4-cylinder option! That new engine comes standard with engine stop-start and can generate up to 295 pound-feet of torque, and 270 horsepower. This engine is perfect for enhanced drivability, low emissions, and a quick launch performance. The Pentastar 3.2-liter V6 engine is another option, which delivers 239 pound-feet of torque and 271 horsepower. You can also tow up to 4,500 pounds with this engine, which is best in its class! What makes the Pentastar engine so special is the blending of power, refinement, and efficiency to help reduce vibration and noise. The final option is the MultiAir2 Tigershark 2.4-liter inline-4 that is rated at 170 lb-ft of torque and 180 horsepower. The nine-speed automatic transmission from TorqueFlite is perfectly paired with these engine options and allows for the best fuel efficiency around, and the smoothest power delivery. 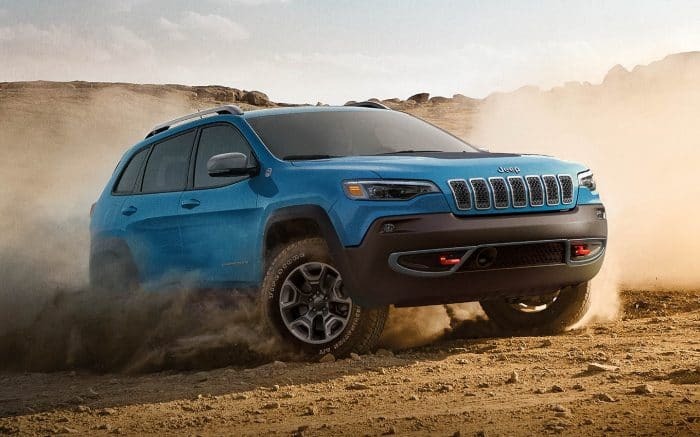 The 2019 Cherokee is extremely capable of off-roading, has a smooth ride on the highway, and offers the latest in technology. There is no downside to this mid-size SUV, and in order to prove that to you, we offer you to schedule a test drive with us!